How can I reuse or recycle (unused) sanitary towels & tampons? | How can I recycle this? How can I reuse or recycle (unused) sanitary towels & tampons? I’ve heard a lot about them from a number of different sources and the general consensus seems to be they’re fantastic once you get the hang of them. Estelle’s email reminded me about the stash of towels & tampons I have in my bathroom cupboard. I stopped having periods about five years ago but used to buy-one-get-one-free quite a bit, so collected quite a stock before they became redundant. I thought about giving them away to friends but none of my friends have periods either for one reason or another (the most common reason being that they’re mostly male). So what can be done with them? Does anyone know of any charities that collect them for redistribution in developing countries or the like? What about reuses – surely their liquid-absorbing qualities must be good for something around the home? If there is a shelter for the homeless locally, they might be glad of them (and any surplus toiletries too). 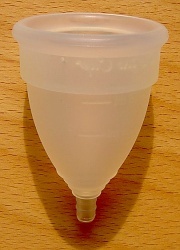 Firstly, the moon cup IS a great invention although, for anyone who a) doesnt want to use it or b) may need a pad on a heavier day, you can also buy Organic cotton sanitary produts such as – Naturacare (http://www.naturalcollection.co.uk/natural-products/Organic-Cotton-Sanitary-Towels-and-Pads.aspx) – these are cotton, no perfume, no plastics, no harmful chemicals!!! In certain situations these Naturacare ones can even be composted! As to the unused old nasty plastic ones – there are some charities who send them to Africa / Kosovo etc but trying to FIND details about these charities are proving difficult. Everything I have found states they want them then when you get to addresses / or “how to help” pages they just ask for monetary donations! The ultra thin type have the super absorbant polymer crystals – so put them over the hole in teracota pots to keep the soil in and hold a little extra moisture for your plants. Also, the Keeper was out there before the moon cup and is a better alternative since it’s made of natural rubber and should you ever be done with it, it it biodegradable. pads could be used inside of diapers for extra absorbancy? I recall at school that if a girl found herself unprepared, we were told to go to the secretary’s office and ask for a sanitary pad. I’m sure that teenage girls are still caught off guard and still go to their favourite teacher or the office to ask for emergency supplies. Why not ask a teacher friend if you could donate the unused pads to them? Keep some for your first aid kit. They make excellent compresses and are particularly handy for larger cuts and abrasions. Do you have the pattern for the maxi slippers? They’re great to have in a first aid kit. Just think: they’re sterile, and absorb so much. Perfect for big gashes/cuts. I also used pads when I went hiking (with my old backpack) and the stuck them under the backpack straps that dug into my shoulders. In General, they are NOT sterile. You could probably consider them clean, but definitely not sterile. I’ve heard of women using them after childbirth to soothe soreness by putting a little water in them and then freezing it and sitting on it. It’s supposedly very soothing for tears and stitches. Just like outgrown diapers, they are great for absorbing spills. Pads for small spills like a cup of water, diapers for massive spills (I once dropped a plastic gallon of water, and sucked it all up in 2 diapers in five minutes!) Not too sure what to do with the tampons. Yep, Mooncups are brilliant! I’ve had one for about 6 months now, and although I was a bit sceptical at first, I love it now. If anyone has spare sanitary protection, PLEASE find out where your nearest Red Cross distribution point is. They give out food parcels to people who are destitute, and such people often also depend on them for toiletries. Very few people think of donating sanitary protection, but it is very much appreciated when donated. Do you still require sanitary pads for your charity? and are you in the UK? I bought a huge box of them not realising they were not the thin pads but the maxi pads – i cannot use them. DO LET US KNOW IF YOU DO. U can use the tampons for nosebleeds although I hope you wouldn’t have that much blood coming out your nose. Spray on your household cleaner of choice and wipe down kitchen surfaces. When I was in the army, we used tampons for gunshot wounds. Also you could look at sending the extra pads or tampons to troops overseas because in some areas of Iraq and Afghanistan female hygiene items are hard to come by. May I suggest avoiding the whole discussion by using washable pads? I bought a few online. They have a plastic sheet inside, that stops leakage. I soak them in cold water for a couple of hours, then throw them in the normal wash with clothes. If you choose darker fabrics, there is less of an issue with staining. They have all different thicknesses, absorbencies, etc. http://www.etsy.com/shop/VulvaLoveLovely (in the US, but ships internationally). These are better for your body. 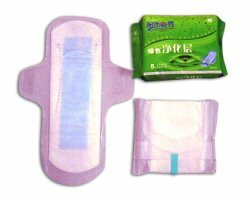 The commercial pads are bleached and contain nasty chemicals (think Toxic Shock Syndrome). Contact your nearest veterinary hospital..I work for one and we always use maxi pads for extra cushioning and absorption inside belly wraps etc since they have that adhesive. We also use them as “makeshift” diapers for pets that are in heat or have urinary issues. Also, tampons work well for nosebleeds. I am wondering if anyone knows of a charity who I can approach to supply sanitary items to orphhaned older girls in Sierra Leone. I currently volunteer for a number of orphanges in Sierra Leone and as our children are getting older, we are needing to supply the girls with sanitary items that are a huge cost for a volunteer based organisation that recieves no government support and occassionally receives grants. Any suggestions would be appreciated. Please note that the above should have stated night-time towels.